your skin in the process. 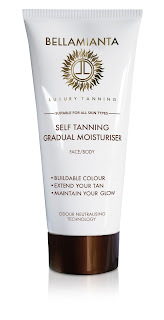 When it comes to tan in a flash - with particular regard to the legs - you want both a gorgeous colour that’s easy to apply but also a formula that will smooth over your skin for a flawless effect. 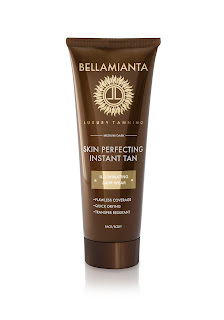 The Skin Perfecting Instant Tan contains Bellamianta’s unique mixture that serves to fill in fine lines and airbrush over uneven textures and bumps. Light-reflecting particles allow for a healthy glow, disguising discolouration and evening out skintone. 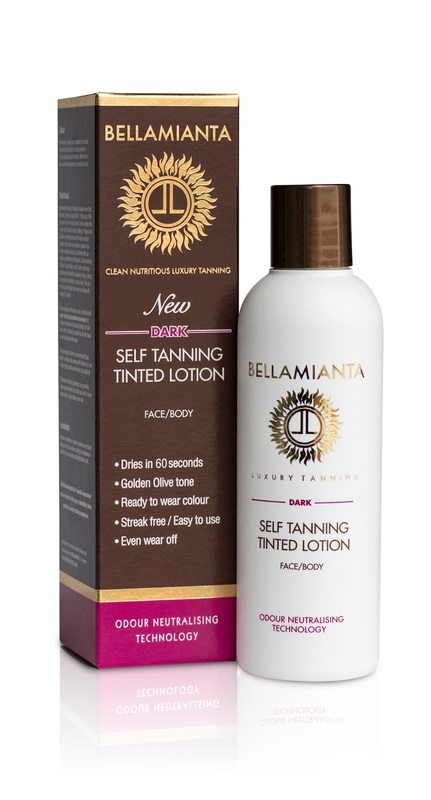 A common concern with instant tan is drying out the skin; with this, you needn’t worry. It’s an intensely hydrating formula made with one of nature’s most beloved ingredients - coconut oil - that creates a protective barrier. Your tan will stay put for up to 24 hours and better yet, it will not clog your pores. a tan; with skin-loving shea butter, aloe vera and Vitamin A, C and E, it’s a hard-working hydrator in its own right. Among this product’s many benefits, it soothes and restores skin elasticity, it’s got anti-aging, firming and toning properties. The winning formula that’s kind to sensitive skin also ensures an easy task when it comes to drier areas such as elbows and knees. luxury product contains pure Vitamin E which improves skin hydration and aids skin regeneration. Combined with the natural exfoliators, the formula leads to an even wear off. Natural fruit extracts offer many additional skin benefits including firming, toning, anti-aging, healing. This dark tan is suitable for dry or irritated skin. Enriched with shea butter, aloe vera and Vitamin A, C and E, it soothes and restores your skin’s elasticity. When you cross beauty with skin-based nutrition, you arrive at Bellamianta. Healthy, clean formulas that don’t compromise on performance. 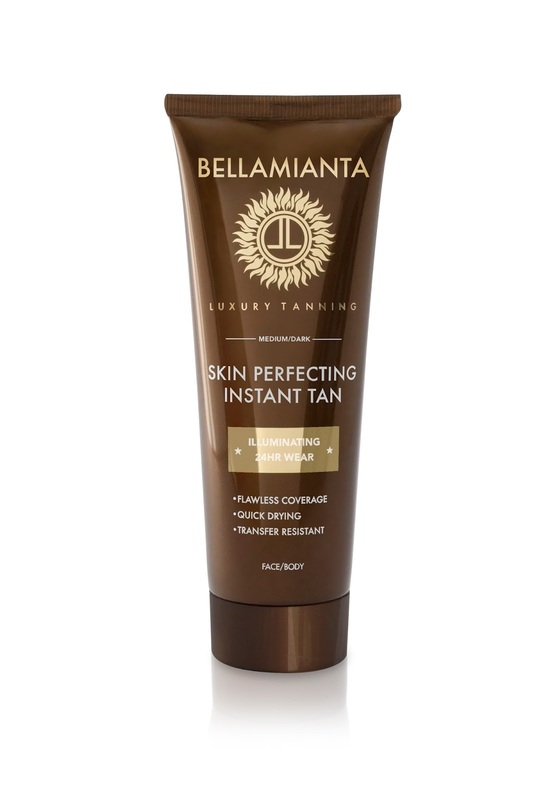 2017 has already seen Bellamianta Luxury Tan on the receiving end of not one, but five prestigious awards celebrating the brand’s much loved Dark Rapid Mousse. 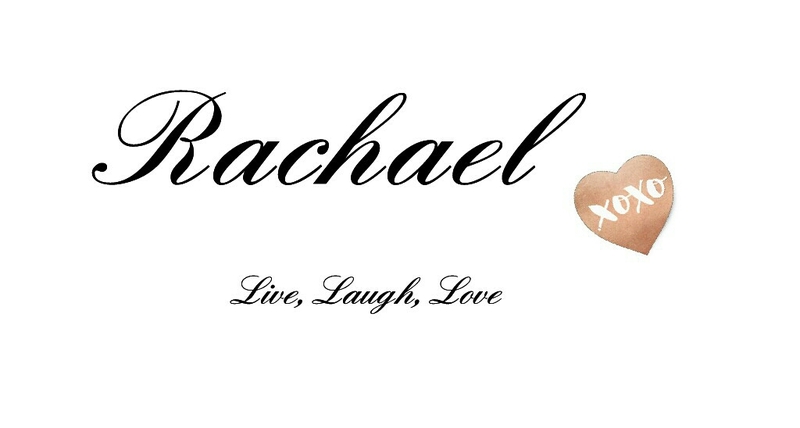 With a nod from Social and Personal, RSVP Magazine, Image Magazine, CEW Beauty Insider Awards and the Natural Health International Beauty Awards. The remainder of 2017 will see this young, vibrant brand go from strength to strength. Check out my review of the lotion here.